7 Tips To Improve Your Attitude! How To Get More Quality Prospects For Your MLM Opportunity! How To Start Living Your Dream Life? How To Start An Online Business With No Money! Easy Way To Generate Quality Leads For Your Business! How To Avoid Wasting Money Online! How To Avoid Distractions In Your Business! How To Build A Profitable Network Marketing Business! 7 Tips On Choosing A Good Home Business! 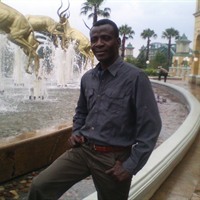 Hi there, it's Kayode... thanks for visiting my IBO Profile Page. DO YOU NEED SOME HELP BUILDING YOUR CURRENT BUSINESS?